We are Kansas City's Premier Home Staging and National Award Winning Home Staging and Re-design Company. We provide services from consultations to complete/vacant home staging in the entire metro Kansas City area. We create stylish, warm and welcoming houses that captivate a buyer's attention the moment they see the property. We focus on buyer demographics, special features or details of the houses, lifestyle needs of the buyer all by strategic placement of furniture and accessories which becomes a very powerful marketing tool in selling houses. We have staged homes in the entire Metro Kansas City on both sides of the state line including Fairway, Prairie Village, Mission Hills, Kansas City, Leawood, Blue Springs, Independence, Lees Summit, Gardner, Overland Park, Olathe, Platte City, Liberty, Belton and more! With several years of experience, we pride ourselves on know what it takes to get your home sold quickly and for top dollar! Wes Edwin Design is a cabinetry and furniture company in Kansas City. Designed, built, and installed by Wes Edwin, we pride ourselves on the quality of our products and the creative beauty of our design. Wes Edwin Design was inspired in 2011, in the heart of the Edwin household. 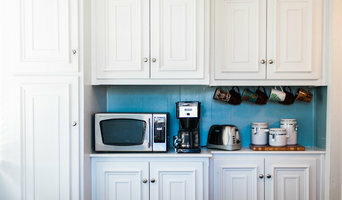 Wes and Diana needed a kitchen renovation- a solution that was both efficient and aesthetically pleasing. Using his love of cabinet making, Wes applied his skill and passion to the design and creation of the cabinets and furniture that would sustain his own home in North Kansas City, MO. While perfecting his craft within the confines of their 1500 square foot home, Wes developed a keen eye for maximizing function and creating more efficient space. His products not only sustained function of everyday life, but also enriched the family's lifestyle through the tactile pleasure of handmade pieces crafted from natural wood elements. Today, Wes Edwin Design enhanced homes of all sizes and shapes by applying the Edwin's practical approach and passion for beauty. Each piece is designed to meet the unique needs of your family, and created with the same care and attention that is applied to the Edwin's own home. Meet a custom home builder that provides true custom experiences. From the in house architectural services, to the step by step interior design consulting, we strive to make the home building process memorable. Cardinal Crest creates timeless homes that will equally focus on design and function. Utilizing the newest technologies we put as much emphasis on the aesthetics as the structural components to ensure a quality built home. We utilized building information models (BIM) to help clients fully visualize and understand their spaces, and to produce a quality product on time, with in budget that exceeds expectations. A continuing theme for our practice of architecture is Big Ideas.....Fine Detail. A core belief at RDM Architecture is that the successful architectural design is an exercise in creative problem solving and finding a common sense solution to fit the needs and aspirations of our clients. We believe that consideration of a building's relationship with the environment and careful use of energy resources are practices which result in added value for our clients. Second Nature has been in the business of professionally designing and building custom landscapes and outdoor living spaces across the Kansas City Metro area for over 20 years. The collective experience of the staff allows Second Nature to understand the diverse conditions of the area and how to adjust the project to suit those conditions while staying on schedule. The artistic vision and skilled workmanship means Second Nature can turn your outdoor living space vision into a reality. Owen Homes is a design + build firm that specializes in custom homes and remodels. Our fresh perspective and experienced design team allow us to maximize the efficiency of your home and provide you with a completed project that reflects your specific design and style preferences. We are committed to an exceptional construction experience that extends from the building process itself to your overall experience throughout the entirety of the project. Ultimately, our goal is to create a home that fits your lifestyle and provides years of enjoyment. We look forward to collaborating with you on your new residence or next project. For more than ten years, Homes By Chris has been an award winning design & build firm in the Kansas City area. 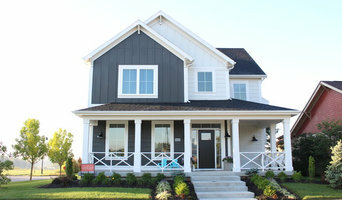 Owned and operated by Chris and Roy Ragland, Homes By Chris is a husband and wife team who have built more than 200 homes in the Northland area. 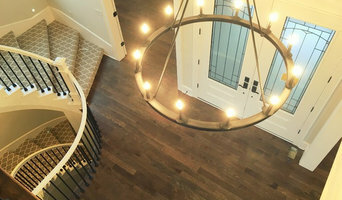 There are many custom builders to choose from, so it is imperative you understand what sets us apart from others: • Personal Service: You will work directly with Chris and Roy, a very unique opportunity in the building industry, who provide deep and broad expertise across the real estate and home construction industries. 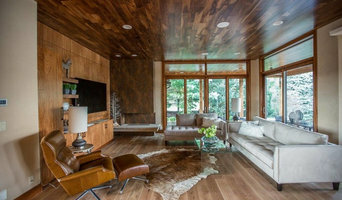 • Creativity: Chris and Roy provide a flexible process that embraces creativity and the uniqueness of each home they build, including incorporating interior designers in the early stages of the process. • High Standards: They hold themselves and every sub-contractor hired to very high standards to ensure your home is built to last. • Comprehensive Warranty: Your home building experience doesn't end when you get the keys, as each home is backed with a comprehensive one year warranty. Created by Nature, Perfected by Gaumats! We are a granite fabrication company and so much more. Gaumats International LLC was formed in 2005 by Apul and his wife Daisy Gaumat. Apul’s knowledge of granite and marble comes from his family owned quarries and processing plants located in India. When Apul started Gaumats International there were several fabrication companies doing similar work, but Apul wanted to do things differently by providing a better customer experience. He imported premium quality granite slabs and hired artisans fabricators. Gaumats International's main goal is to provide the best quality and workmanship to each and every customer. In 2005 Gaumats International started in a 2,600 square foot building but shortly after grew out of that facility. Gaumats is currently located in a custom built 10,000 square foot building with a 2,000 square foot showroom space. Gaumats International warehouses beautiful slabs from around the world and each job is custom fabricated in a state of the art fabrication facility. The fabrication is completed by an Italian CNC which cuts the stone to the job specifications. Once the stone has been cut, our specialized artisans provide the finishing touches to get the product ready for installation. As a local business, we are always trying to improve upon our customer experience and are always looking for a better way to serve all of our customers! Orion Design Inc is a residential interior design firm specializing in kitchen and bath design, interior architecture and project coordination. Having graduated from the University of Nebraska Kearney with a degree in interior design and emphasis in kitchen and bath design, owner, Elizabeth, is a unique designer who prides herself on creating spaces tailored to the individual needs of her clients. At Orion Design, you have an advocate that has the highest standards and knows the design inside and out. You also get people! Orion Design works with a select group of people to make your project a success. We realize that it is these people that make us successful! As the premier award-winning architectural design-build firm Starr Homes is the Greater Kansas City Area custom home builder. Our helpful staff, will guide you through the design phase, help you better understand the financial requirements of your project and make your home dreams come true. When people compare builders, people choose Starr Homes. Building a custom home does not have to cost as much or be as difficult as you might think. Whether you find one of our plans that fits your needs exactly, or you are seeking a completely unique home concept, Starr Homes is uniquely equipped to bring together the best design elements and materials to make your dream home a reality. Building a custom home can be easier than you think. Have some thoughts collected, a few pictures together, and meet with our design staff to create your custom home. Earthway’s team of professionals brings 40+ years of industry experience, sustainable practices, and innovative design and construction expertise to your home remodel or home improvement project. From your imagination to design, we deliver high quality workmanship and easy to understand, elegantly designed plans to increase the value, functionality and efficiency of your home. Call us today at (913) 721-8098 to schedule an appointment or visit our website to request a consultation. We look forward to helping you realize your construction dreams. Studio Build is a company that believes the design + build project delivery method is the most effective solution and produces the best possible project for our clients. Our in-house fabrication team allows us to integrate custom components in a cost competitive manner. But before you start sending out dozens of emails and making phone calls, sit down and think about your project. What's your budget? What is the scope of your project? Will you need more than one type of professional to complete your home improvement project in Kansas City, MO? Can you afford to complete the full project now, or should you tackle it bit by bit? Once you've settled on your project’s priorities, budget and scope, it's time to start researching Kansas City, MO home design professionals. Don't sell yourself short and settle on the first professional you set your sights on. Make sure that you're working with someone local, who can get to the jobsite easily and efficiently. Look into the person’s reviews, ask to speak with former clients and to see previous jobs in person. Take a good look at their portfolio photos: How similar are these projects to your own? Be honest — that mansion might look beautiful, but it might not have a lot in common with your little bungalow. Reach out to multiple professionals — especially for larger projects — and don't settle for the first bid you hear. Comparing multiple Kansas City, MO professionals' bids and experiences can help you find the one that’s best for you. Ask a lot of questions now, so you won't have unexpected answers later. Find a home design professional on Houzz. Narrow down your search by type of professional and location. Browse Kansas City, MO portfolio photos, read client reviews and contact each Kansas City, MO professional for more information. Check out the information in the specialized professional sections too for tips on how to hire the right professional for your project.